In today’s digital world, one of the best tools that you should have is an E-Book. Let’s take a look at why you should have an E-Book and how we can simply create and E-Book for you and how you would use it as a relationship marketing/business building tool. Improves your Authority: What makes someone choose you over a competitor? What makes google place you in someones search results? Although there are a number of reasons that a potential client may select you, or google place you in their search results…One of best answers to those questions is viewing you as an Authority or expert in your particular area of expertise. An E-Book is a great tool that allows you to highlight your knowledge and expertise, elevating your Authority status. Enables you to solve The Problem: Most people will look for someone to answer their questions or solve their problem. An E-Book gives you the opportunity to take the most FAQ’s or particular challenges your clients may have and put them into an E-Book. This will again, elevate your Authority by providing information that they are looking for. Capturing Contact Information: Let’s take a minute to look at all the missed opportunities you have to grow your business, because people go to your website and leave. You rarely get another chance to connect with those people. People will give you their email address to download a book because of its implied value. Once they have provided their contact information and downloaded your book, you then have the opportunity to continue to communicate with them, increasing your outcomes for business growth. Now, that single visit to your website, can become an ultimate growth in revenue, something you may not have achieved without your E-Book. So, now you’re thinking, “There is no way I have time nor do I personally want to create an E-Book”…, and nor should you! That’s right, this is one of those times that creating and E-Book is something you should have someone else do for you. In business there are often many things you “Could” do yourself, but you “Shouldn’t”. 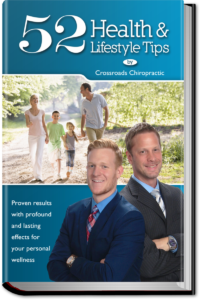 Whether you are a doctor, dentist, real estate agent, plumber, financial advisor, attorney, or any other type of business owner, you need an E-Book. We will take your knowledge, expertise & information and create an E-Book that you can proudly display on your website and social media pages to improve your outcomes and provide long term sustainable growth to your business.